Viruses: Basically, any malicious computer program that replicates itself to harm a computer system is called a computer virus. It is the sub category of malware, it includes trojan horses, worms and rootkits. 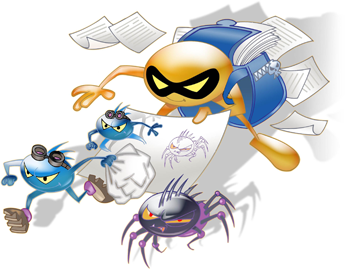 Contrary to popular belief, spyware and adware come under malware but not under viruses as they are not self replicating, nor do they actually infect files. Trojan Horses: Named after the Trojan Horse in Greek mythology, Trojan horses or simply trojans are malicious programs that replicate themselves and steal information or harm the host computer system. They usually masquerade as helpful or harmless programs and begin to steal private data, delete files, log keystrokes or provide an opening for further malware to get installed. For example, trojans claim to detect hundreds of viruses and remove them while actually harming the computer. The term trojan horse was adapted from the Trojan Horse in Greek mythology where the Greek army hid in a hollow horse made of wood that was given as a gift to the City of Troy. Upon nightfall, the army burst out of the horse and conquered Troy. Similarly, the malicious code is hidden in an apparently helpful program and finally causes harm. Computer worms: Worms are another type of malicious software that exploit a vulnerability in the computer system to cause harm. They usually corrupt or delete critical files, consume excess bandwidth and often put the computer under control of the worm author. Once infected, computer systems are used to send spam mails and perform many such unwanted functions. They also usually create a backdoor where security can be bypassed to further infect the system. These backdoors allow remote access to the infected system and files and are usually undetected. Furthermore, worms do not need to attach themselves to another program and can be spread individually over networks. Rootkit: Rootkits are a type of malware that mask malicious processes and software in the infected systems to ensure privileged remote access. They are usually installed after a vulnerability has been found and detected so that the infected computer continues to be under the control of the malware author. Rootkit detection is quite difficult as they are designed to stay hidden from the very software used to detect them. But, behavior patterns or memory analysis can reveal the presence of one. Removal of rootkits is extremely difficult and sometimes even impossible, depending on the extent of infection. Nevertheless, modern security suites can remove a few classes of rootkits. Spyware: As the name suggests, spyware are programs that spy on the users. They steal user logins and passwords, document sites visited, log keystrokes and even redirect browsers to unwanted sites. They can result identity theft and sensitive bank information can be compromised as well. While some spyware just document sites visited or the like, more dangerous spyware can steal very important information. Adware: Adware as such are quite harmless, although they are annoying. They generate ads in the form of popups and interrupt other programs. Usually shareware come with such popup ads. However, adware can come bundles with spyware which can cause further complications. But adware as such is not that difficult to remove. 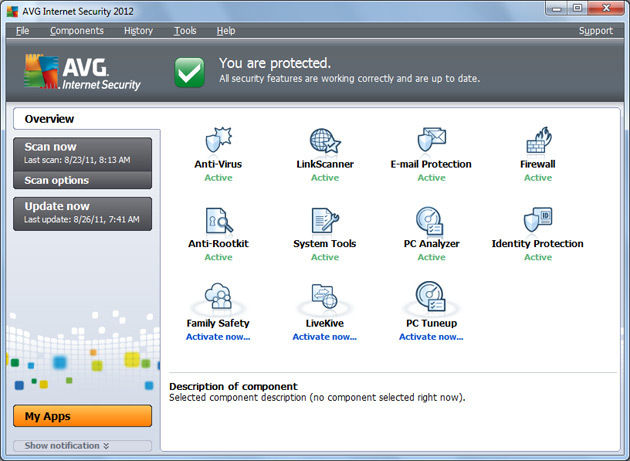 Similar to AVG, Avira also offers a free antivirus that is really quite good. 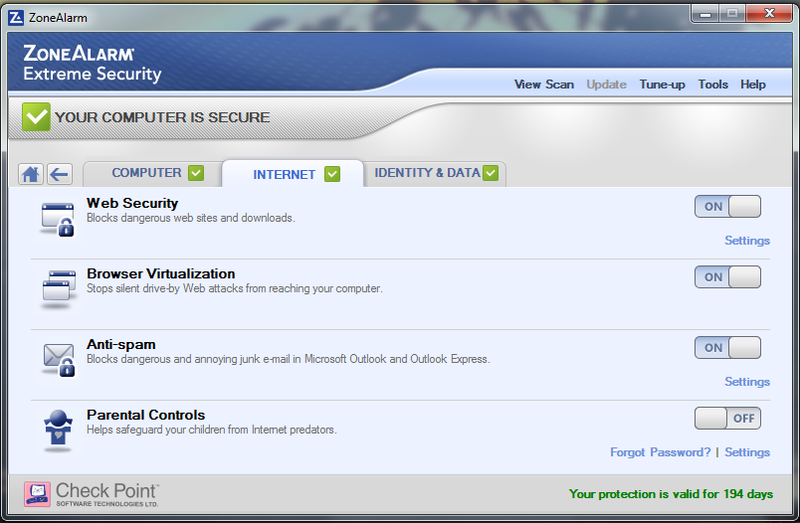 Again, the same antivirus turns out to be one of the best components of this Internet Security suite. While it doesn’t offer much by way of extras, Avira performs well in malware detection and removal and has a robust firewall. Again, the phishing filter and anti-spam filter don’t perform particularly well. Furthermore, Avira is weak with rootkit detection and removal. On the bright side, the best feature, the antivirus, is available for free and the suite as a whole doesn’t slow down system performance. Avira Internet Security costs 60$ for a single license. Bitdefender is one of the best suites available on the market. Along with essential components like antivirus, firewall and anti-spam, Bitdefender offers PC tuneup, Facebook protection, online backup and more. This suite offers fairly good malware protection, although not the best. The firewall is efficient, strong and silent as well. The extra features like PC tuneup and online backup perform well too. Phishing protection and anti-spam is decent and in general the suite offers good protection. However, it does slow down the system a bit and malware removal is good, but not great. Overall a good suite, retails at 80$ for 3 licenses. One of the stalwarts in the security software game, Kaspersky’s new internet security suite offers a great firewall and antivirus. It’s malware protection is very good, but rest of the features don’t match up. The anti-spam and phishing protection miss a lot of threats and the suite in general does affect the overall system performance. Kaspersky Internet Security offers a unique feature called Safe Run that creates a separate, temporary desktop and registry isolated from the main desktop. This can be used to run files or install programs you don’t entirely trust. If any problems are seen, the temporary desktop can be wiped clean without any effect on your main desktop. Also, the UI is completely new for the 2012 edition and is a pleasant departure from previous iterations. 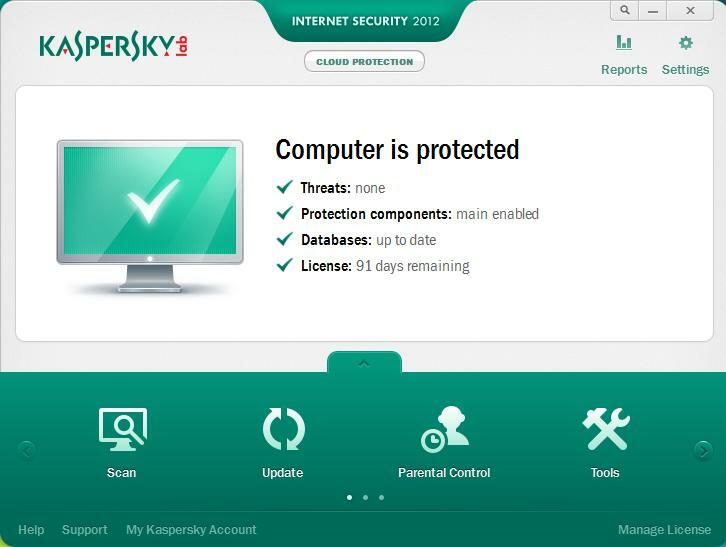 Kaspersky Internet Security costs 80$ for 3 licenses. McAfee Total Security offers a large number of features in it’s suite. It includes anti-spam, intruder detection, parental controls, file shredder and a lot more. 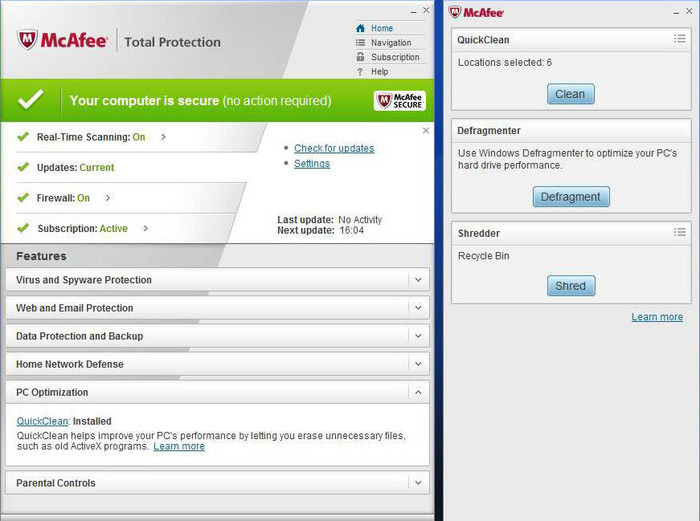 Unlike most other suites, the add on features in McAfee Total Protection 2012 actually perform well. Intruder detection and anti-spam are very efficient and online backup is useful as well. But, the core malware detection/removal and firewall don’t perform nearly as good as the best in the business. Also, McAfee affects system performance adversely. So if you’re looking for a suite that offers a host of features, get this suite, but keep in mind malware detection and removal is better in other suites. McAfee Total Secuity 2012 costs 90$ for 3 licenses. One of the most well known names in the market, Norton Internet Security more than lives up to it’s name in it’s latest iteration. Unlike previous versions, specifically the ones leading upto and including the 2010 version, Norton Internet Security 2012 is fast, efficient and doesn’t affect system performance. It looks good, is easy to use and offers exceptional firewall, on access and virus protection and effectively removes threats. Even the anti-spam works very well. Although, SONAR (on access protection) can get a bit overzealous at times and block harmless programs that aren’t very widely used. Overall it’s one of the best suites to have, it costs 70$ for 3 licenses. Webroot isn’t one of those suites that strikes you when you’re thinking of security software, but this lesser known suite offers surprisingly good protection! It offers great malware detection/removal, is supported on Android devices and is very light on system resources. 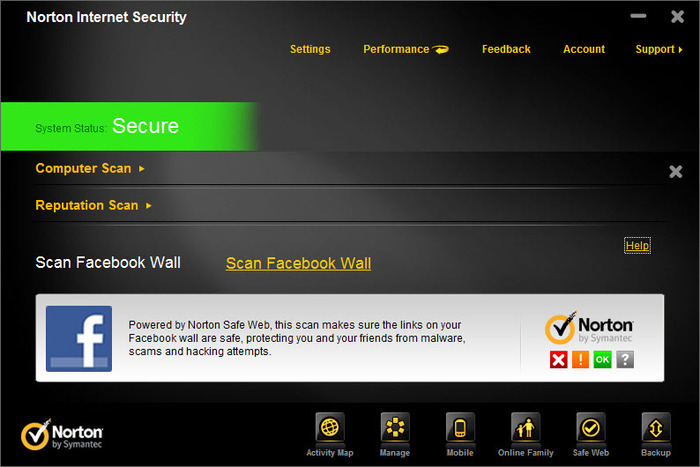 Webroot’s online backup and password protection is very good as well. As for the cons, it doesn’t include parental controls or anti-spam and the firewall is a tad bit weak. But, the core antivirus is excellent and the installation is less than 1MB! The complete suite occupies just 50MB of space. This excellent and light suite costs 80$ for 3 licenses. ZoneAlarm has traditionally been known to create excellent firewalls and this suite doesn’t disappoint with that regard. 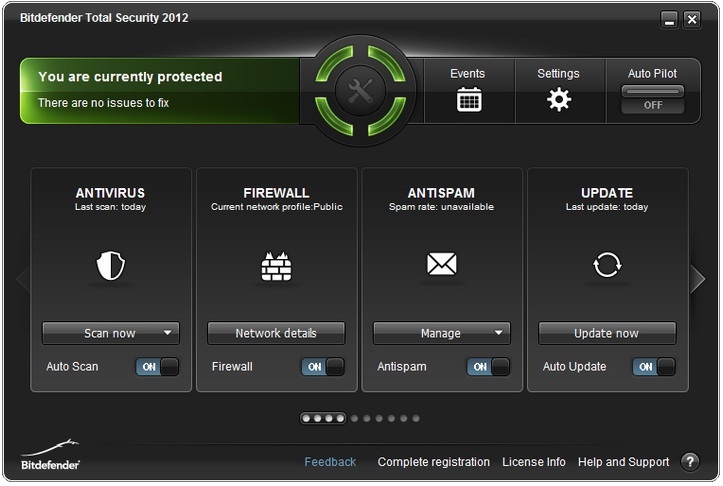 Extreme Security 2012 offers a great firewall, anti-spam & phishing protection and a few other extra features. The preinstall virus scan is a nice touch too. The bundled parental control, download manager and registry tune-up work well and you won’t be disappointed. A spiffy complete drive encryption can completely lock down data and prevent usage. But, the malware detection and removal could use some sprucing up and aren’t really in the league of the top competitors. General online protection is very good and so is on access protection. 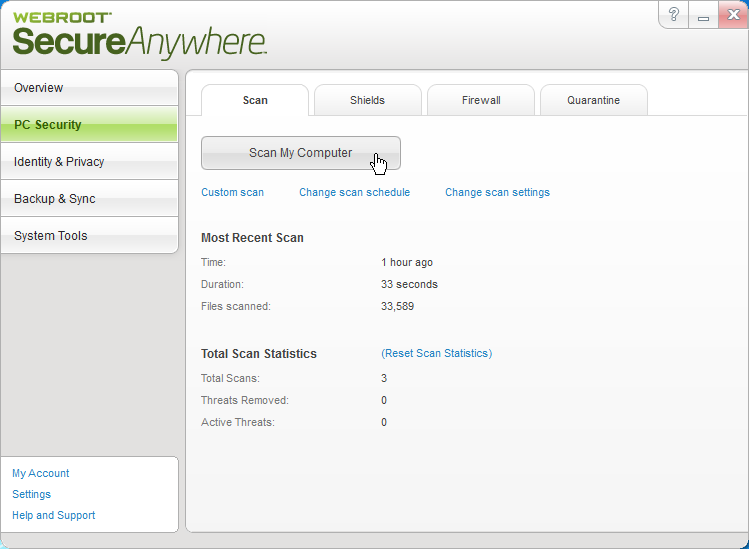 ZoneAlarm Extreme Security 2012 costs 80$ for 3 licenses. So these were the top security suites, each have their pros and cons and sometimes offer completely different features. Question is, what would you prefer? Kaspersky internet security 2012 overall detection is very high as compared to other antiviruses. Like I mentioned above, yes its malware detection is very good, it’s the other features that don’t quite match up. It could not see Avast 7 Internet Security Which was one of the top internet security Suite. I think you Missed out it. The New Avast 7 features several hybrid cloud technologies. so which is goOD ? i already have Microsoft security essential.. is it necessary to download another antivirus software?? Nope, Not necessary. Always make sure you have only one antivirus. No matter it is paid or free.